Just because students are producing a show, it doesn’t mean school productions have to sacrifice on having a professional quality. Professional keying quality in the TVS-1200A virtual studio allows schools to take their classroom and turn it into a state of the art virtual set. All you need is to set up a green screen in your classroom, and with a technology of the TVS-1200A, you can be broadcasting your morning announcements inside a set that looks like a network television news set. 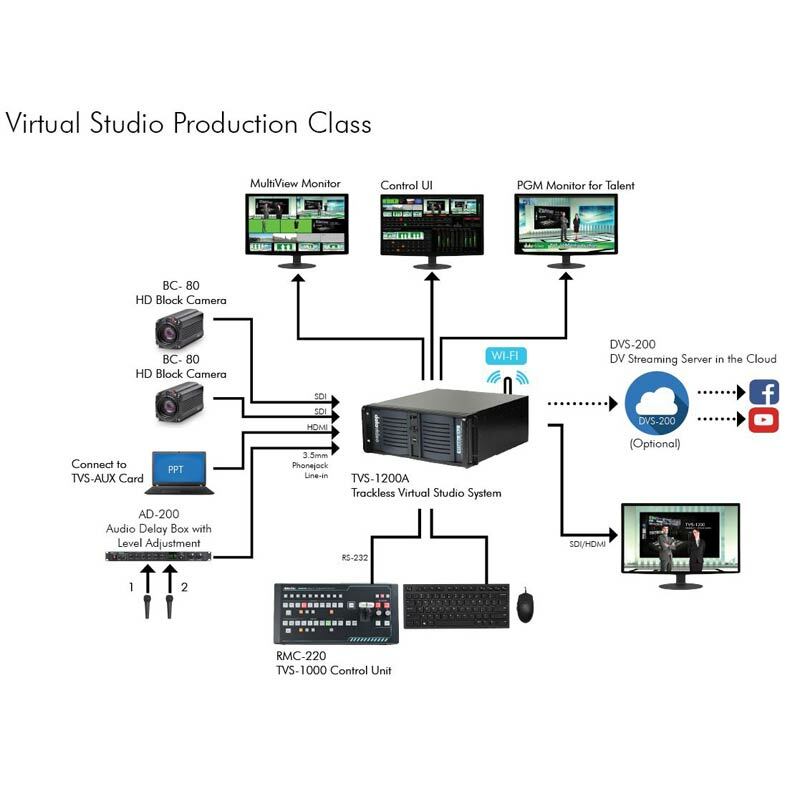 Create virtual sets, switch between two cameras, add titles for character generation, record your video, and stream to the internet from one product. BC-80 cameras that come with this solution are compact, lightweight, and support up to 1080p resolutions with HD-SDI outputs.